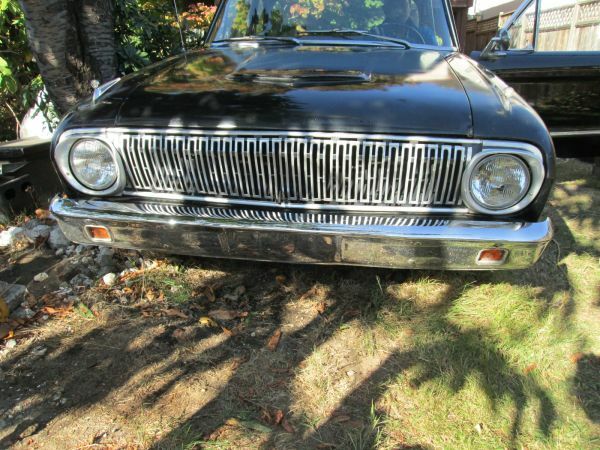 Up for sale is a nice condtion Ford Falcon. It is a 1962 2 door. Engine size is 170. This car runs great. The glass is all in good condition, no cracks. Tires are good. The body is in good condition, some rust is visible. New carpet, new master cylinder, new shocks front and back, new carb, and generator replaced with alternator. 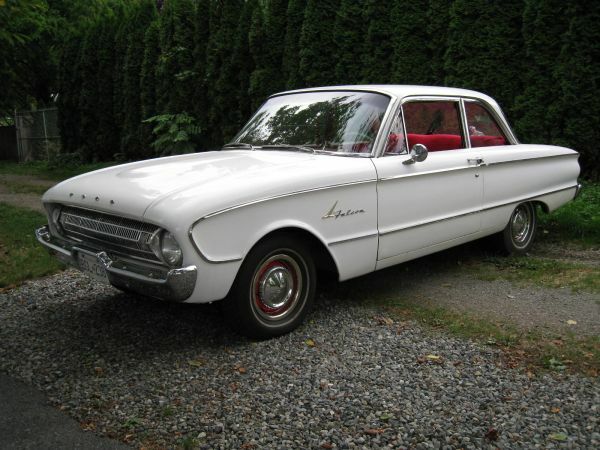 I took a lot of pics, click on the photobucket link to see more… http://s661.photobucket.com/albums/uu339/bobby-ricigliano/ford%20falcon%201962/ If you are interested in seeing the car, email me your phone number or I will not respond. Well it’s been awhile since I posted anything up here on Cars You Should Buy, but there’s a damned good reason for that… one that I can’t reveal just yet! However, while the cat’s away, the mice will play, and sure enough a quick perusal of Craigslist has dragged more than a few tantalizing vehicles across my monitor’s pixels. This ’62 Falcon is one such vehicle. 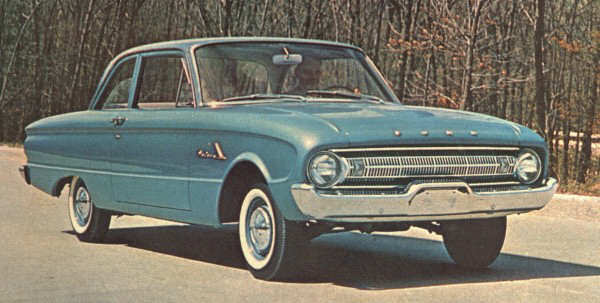 If you’re a regular reader of CYSB, then you probably already know I’ve got a bit of a hard on for early Falcons, so the temptation of a ’62 Falcon coupe in red and black was just too much to overcome. As with all early Falcons, this one’s sure to be stone-axe reliable and quite fashionable to boot, while the 170 cubic inch engine and automatic gearbox are well-proven powertrain options easily capable of returning pretty decent fuel economy… if not barnstorming power. However, it’s also not without its issues. As the seller mentions in the ad, there is some rust already visible on the body, and it’s reasonable to assume that the black paintjob isn’t a factory ‘job… in the early sixties, Ford was still lacquering their cars, and their version of the good ole single-stage black paint job was one that lasts absolutely forever… I should know, I had an old Ford pickup in the original gloss black lacquer. This car, on the other hand, appears to have a bit of a rough texture to the paint, which is something the factory finish never would have had. Sure, it would’ve oxidized and faded, but it never would have wrinkled. That said, it doesn’t look to be too bad, and anyone with a little spare time on their hands, some extremely smooth wet/dry sandpaper, and a power buffer could probably have it looking great in no time. Furthermore, although rust is cited in the ad, the engine bay photo shows a well-maintained motor with no signs of rust appearing around the strut towers now around the cowl, which is a very good sign on a car of this age. Likewise, these cars are famously easy collector cars to own, as parts availability is an utter non-issue, which means that anything that might need replacing is readily available and probably only slightly more expensive than dirt. All this, combined with the number of new parts included with the car, make it a pretty compelling vehicle, and one that’s perfectly suited to signal my return to Craigslist prowling! As always, click the blue text above to follow through to the advertisement and contact the seller. 1961 Ford Falcon. 2 door, auto, 200 6cyl, C4 transmission, 60k original miles, bone dry, solid no rust. 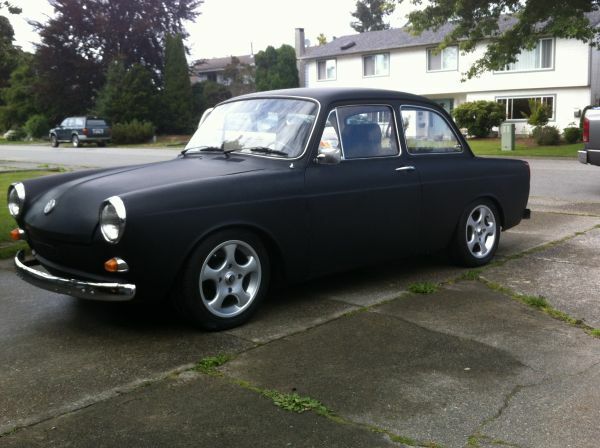 Body: solid floors, chrome package, new rad,brakes,custom exhaust, tires, gas tank & sender, battery, alternator. Lots, lots more. Air cared, great daily driver, ready to go! $4500. Car is located in Langley. Call 604-8571896 after 3pm or weekends. Although the Mustang may have gotten the lion’s share of the headlines back in the ’60s, the reality is this: it never would have happened without the venerable little Falcon. 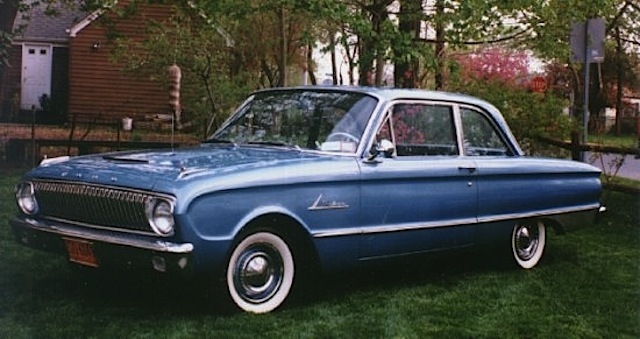 Ford’s not-quite-as-popular economy car, the Falcon provided many a young person with reasonably affordable new transportation for the ten years between 1960 and 1970, and formed the underpinnings for what would become the fastest-selling car ever: the ‘64.5 Ford Mustang. Of course, there were some differences, as the Falcon was never really treated to the same high performance aspirations as the Mustang. Subsequently, many were outfitted with automatic transmissions and an inline six cylinder, which in 1961 meant either 90 or 101 horsepower, depending on the engine option (buyers could choose between the lower-output 144 cubic inch motor, or the higher output 170 cubic inch motor). At the time, neither of the overbuilt and understressed engines were considered horribly underpowered, and the Falcon quickly earned a reputation for spunky performance coupled with steadfast reliability and reasonably economy. However, this one’s obviously been treated to an engine swap at some point in its lifetime, as the 200 cubic inch six cylinder advertised was in fact released in 1963; two years after this car left the assembly line. A four-main bearing engine, like the 170 c.i., the 200 c.i. engine was pretty much better in every way, and saw nearly continuous service well into the ’80s. Although I personally am hesitant to blindly suggest purchasing an obviously modified car, the fact that this Falcon was treated to a logical upgrade and retains an automatic transmission (rather than having had a V8 and four speed bolted in) would seem to indicate that the engine swap was done to effect substantial repairs rather than get a bit more speed, which in turn says something about the maturity of the person that did the engine swap. A quick check of the engine block’s freeze plugs could help indicate when the engine was replaced as well, as 1965 and later 200’s have five freeze plugs. Should this engine prove be the older example, with three freeze plugs, the replacement may very well have been handled by the local Ford dealership. And beyond the engine controversy, this particular Falcon looks amazingly good. Although the white paint may prove devilishly capable of hiding dings, dents, rust bubbles, and any other surface irregularities, the Falcon’s cult following and low public profile means many weren’t treated to the evils their more desirable Mustang-badged brethren have had to endure in recent years at the hands of immature owners. Chances are, between the condition of the paint, details (check out the door latch in one of the photos! ), wheels, and interior, I’d be willing to bet this car’s lived in the garage you can see in the fourth photo for quite some time, and thus has avoided a lot of exposure to the elements. With a massive amount of parts support thanks to a large number of shared parts, an incredibly simple mechanical layout that invites an owner’s education, and it’s beautifully aging looks, it’s entirely reasonable to say that this pretty little coupe could make an amazing commuter. And even if it should require some moderate rust repair or paintwork to be brought back to peak condition, with a price tag of just $4,500, it’s an incredibly good deal, and would still be way cheaper and vastly cooler than pretty much every modern economy car. As ever, to visit the ad and see a few more photos, click on the blue text above. There’s been a lot of American cars on here over the months. Maybe it’s just their dominance in the overall market, or perhaps it’s the undesirable and neglected periods they go through, but for whatever reason old European cars seem to hold their value quite a bit better. 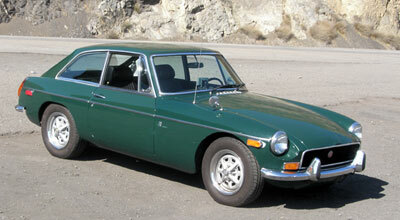 Which makes stumbling across something an uncommon as an MGB GT like this such a great find. 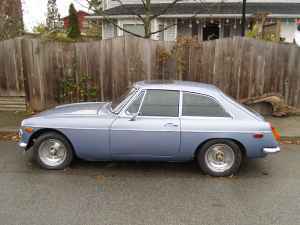 A Pininifarina designed shooting brake version of the popular MGB sports car, the MGB GT was pretty much identical to its unquestionably more popular drop-top brother, but benefits from beefed up suspension components, in order to deal with the coupe’s added weight. Only marginally slower than the convertible, the GT proved enviably practical; it’s two-door station wagon (also known in Europe as a shooting brake) layout giving legitimate, if cramped, 2+2 seating and a relative dirth of cargo space beneath the rakish rear hatch. After debuting in 1965, the MGB GT saw its demise in North America in 1974, although worldwide exports continued all the way into 1980. The fact that many of the car’s components are identical to the MGB’s makes buying up a second hand MBG GT a very logical way to enter into classic car ownership: as one of the most popular sports cars ever produced, you could probably build an MGB from the ground up with the restoration components available from aftermarket suppliers. In fact, perhaps the largest difference between buying an MGB and an MGB GT is that you needn’t worry so much about the environment’s effects on the car’s interior with the hard top. After all, no one’s ever left the roof off an MGB GT overnight in the rain! But it’s not all roses; as with all old British cars, rust can be a real problem. Check the sills very thoroughly, as they are both rust prone and incredibly important to the car’s unibody construction, likewise with the floors, and trunk. Thankfully, being a car that’s just emerged from 9 years of indoor storage, hopefully it’s in good shape body-wise. Finally, don’t be scared off by the mechanical woes of this particular vehicle, as their simplicity is probably only matched by the cheapness of their parts! Click the blue text to follow through to the ad. Well, apparently karma has come knocking on my door in the form of a completely fried clutch that has left one of (newer) family vehicles completely devoid of the ability to make forward progress. Such is the price of not updating the blog for a week. So, lest a vehicle I feel slightly more strongly about take a liking to its friend’s immobile status, I best bring CYSB back to the fore of my priorities! And what better to do that with than something from good old West Germany that hails from the era of the commie threat, Rusky movie villians, and a socio-political movement that saw the youth of a nation tearing walls down rather than putting tents up. Although undetermined in actual age, this NSU Type 110, by nature of its very existence, must have been made sometime in the short (er… one year) span between 1965 and 1967, as the car hadn’t been created in 1964, and underwent a formal name change in 1968, becoming the NSU 1200. Slightly larger than the better known Prinz, the 110 was NSU’s earlier take on a bigger format of automobile, with the only other (and subsequently hereafter known as “later “) take being the Ro 80 of 1967-77. Powered by a downrated version of the same engine that would find its way beneath the trunklid of the peppy NSU Prinz 1000 TT, the 1,085 cc four cylinder that motivated the NSU 110 produced an advertised 52 horsepower, but certainly won’t be the most interesting feature of the car for any potential owners. No, it’ll probably be the fact that just like the Prinz and wildly successful Beetle of the same era, the engine in the 110 is to be found within the trunk. 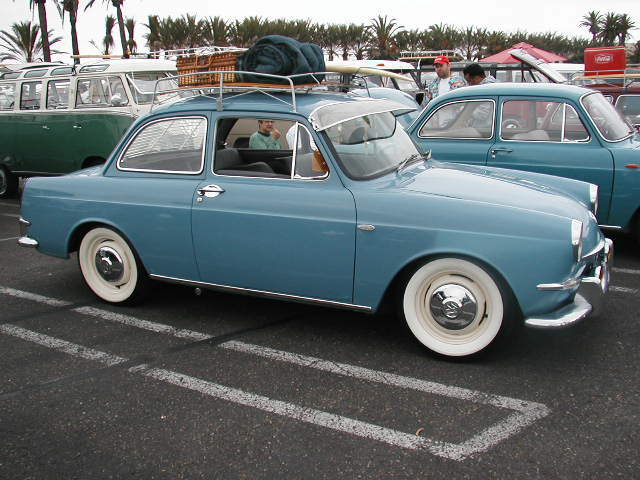 An attempt to increase traction by locating the engine squarely over the drive wheels, the move led to the car being lauded as a pretty good performer, but criticized as particularly vulnerable to high speed cross winds such as those found on the autobahn. Now, this particular one certainly won’t suffer from that particular problem because A) it, nor we, are in Germany and B) it doesn’t look like it’s going to be seeing high speed anything for a while. Certainly one of the roughest cars we’ve seen on CYSB, I’d not have featured it if it weren’t for the undeniably alluring combination of the car’s relatively low price, obscure manufacturer, bizarre layout, and, believe it or not, undying reputation for reliability. Although parts are probably nigh impossible to source, NSU’s have enjoyed an almost Eastern Bloc-like status as some of the toughest and longest-lived little cars on the planet due to both their excellent design and ridiculously stoic manufacture. Take, for example, the car’s underside. Typically one of the most rust-prone areas you’re liable to find on a car made of mid-sixties steel, NSU’s are usually nearly rust free thanks to an a zinc coating that nearly amounts to galvanizing the entire underside. Likewise, the mechanics of the cars are both simple and robust, with NSU once claiming that a clutch could be changed on a 110 in just 30 minutes. When it comes to this particular car, however, I’d be more concerned with how long it would take to find interior door panels and new seat covers as it looks as if the interior will need some TLC. But, if you’re the type that wants something truly different, but preposterously Teutonic in nature, this might be just the car. “1974 BMW 3.0 CS. 4-speed manual, silver grey metallic, red leather seats, low mileage one owner classic. It is odd how many great cars go almost wholly forgotten by the collective memory of the automotive enthusiast community; truly wonderful cars like the Jaguar Mark X/420G, the Volvo P1800, and the BMW 3.0 CS and Bavaria. Incredibly desirable and possessing plenty of cachet, each of these cars represent an epiphany in their respective manufacturer’s histories. For the 3.0 CS, that epiphany was accompanied by a period of motorsports dominance and critical acclaim that BMW really hadn’t known until then. One of the best looking BMWs arguably ever produced, the E9 (BMW’s internal name for the two door coupe platform) was also largely responsible for rendering the German brand into its modern, driver-oriented image. Offering between 180 and 200 horsepower (180 being the power rating for the carburetor-equipped, 9:1 compression ratio CS, 200 for the fuel injected and 9.5:1 squeezing CSi), and being considered one of the best suspended cars of the time, it was a true pleasure to drive. I can personally vouch for this, having had the pleasure of operating one of these fine vehicles on a few occasions. Sounding glorious, the 3.0L inline six is a real gem of an engine, but for the modern driver, it will be the effortlessly graceful manner in which the car conducts its business combined with the ridiculously excellent visibility afforded by the spidery pillars and huge windows that will really impress. Of course, that’s only when they’re working… not that they’re terribly unreliable. In fact, if you ever have a chance to delve into the mechanics of one, they’re thoroughly impressive. Again, personal experience tells me that the drivetrains are amazingly robust (I’ve seen one come back to life and move down the road in 10 minutes after sitting untouched for two decades), but the running gear and electrics can be a little finicky as the suspension, steering, and brakes are as complicated as they needed to be to set a new standard for the world. However, that isn’t the bad news: here in BC, these things have a nasty habit of turning to dust. Partly the contemporary steel and partly the stupidly solid way in which they were made facilitates thirty years’ worth of moisture working its way into every nook and cranny without the possibility of drainage. The sills and quarters are particularly targeted by the process of oxidation. Also, any potential buyer should also take a quick gander at the interior, as trim pieces can be somewhat hard to locate. With just two pictures available of this particular silver example, it’s impossible to truly tell its condition, but it looks pretty decent and is just one 267 CS’ to roll off the line in ’74, making it an excellent (and classy) way to jump into the Bimmer club. Looking at this particular example of automotive history, it’s hard to believe that this car’s forebears could have ever come out of a desire to compete directly with the Chevrolet Corvette. 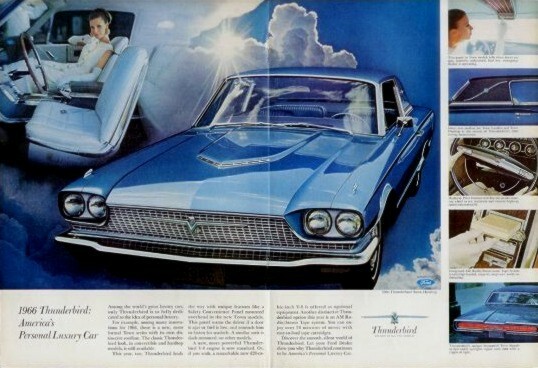 By 1966, just 11 years had passed since the then-new Thunderbird shamed the Corvette with superior horsepower figures and performance, but those 11 years had not been kind to the Thunderbird. While 1966 saw the mighty 427 big block ushered under the Corvette’s shapely hood, Ford spent the year escorting the Thunderbird’s big, luxurious fourth generation from the premises in order to make way for a newer, bigger, and vastly uglier fifth generation. Marking the last year that the Thunderbird could be called legitimately good looking, the 1966 model year features a trio of V8’s underhood (275- and 315-horsepower 390 cubic inch V8s as well as a 345-horsepower 428 cubic inch) and enough luxury features inside to sink a ship… which was ironic given the ‘bird’s land yacht status. The new Highway Pilot Automatic Speed Control set a new standard for cruise control systems, while the six way power seats ensured complete comfort for the driver and his passenger, and both new features were merely bolstering the already impressive list of amenities that included easy-ingress and egress rotating seats, tilting steering columns, power windows and locks, and a variety of other contrivances. Of course, the downside to all these relatively complex luxury systems is that ownership of aging Thunderbirds could be a troublesome and trying experience. But, they say nothing unites people like a common foe, and few enthusiast groups are more cohesive and helpful than Thunderbird enthusiasts. With a strong aftermarket to support their penchant for replacement parts and a huge knowledge base, it can be surprisingly easy to keep one of these cars on the road. However, this being B.C., and these being cars festooned with trim and panel joints, it’s extremely important that any potential buyer do their due diligence and inspect for rust. However, if the photos are any illustration, it looks like it’s in relatively decent shape, although it looks like there’s something around the rear wheelarch that might need investigating. Clicking through to the actual ad will demonstrate the benefits of a proper hard top on an old car such as this, as the interior (what we can see of it, anyway) looks quite clean. But perhaps most telling is the inclusion of “to a good home” in the price. After putting in what appears to be a few of his own dollars, obviously the owner still cares about this old car, and that’s a really great thing to see. These are great cars that can still work as reliably as they did when they were new, and they’re extremely pleasant to drive on a daily basis, making this one yet another car you should buy.